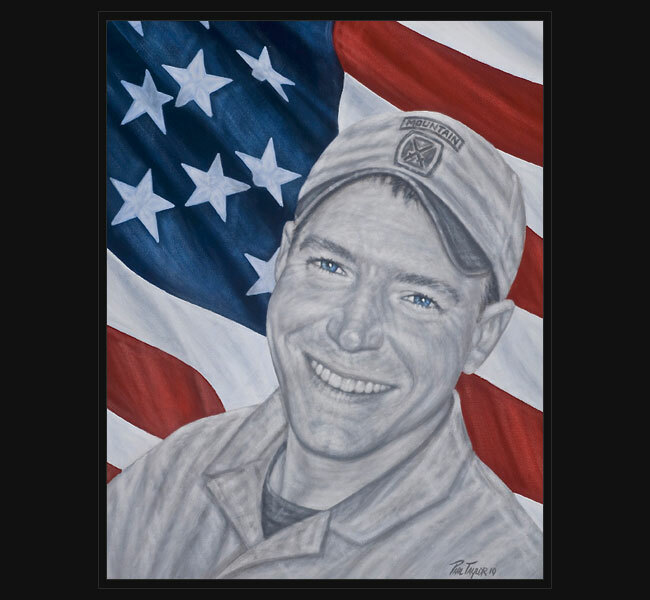 Died June 21, 2006 when his unit encountered enemy forces using small-arms fire and rocket-propelled grenades during combat operations in Gowardesh, Afghanistan. The 16-man patrol from the 3rd Squadron, 71st Cavalry Regiment of the 3rd Brigade Combat Team set out June 18, 2006, on a hellish three-day climb up a steep, un-navigated mountainside into enemy territory near Gowardesh. The team were members of Charlie Troop led by Sgt. Patrick Lybert and two groups from Headquarters and Headquarters Troop: the snipers led by Staff Sgt. Chris Cunningham, and the artillery team, known as forward observers, led by SFC Monti. The troops were setting up over-watch for a larger operation in the valley 2,600 feet below. The main effort was delayed and the soldiers soon exhausted their food and water. A helicopter with fresh supplies, that normally would have come under the distraction of helicopters arriving with the larger operation, came in alone even though it “increased the risk that re-supply would compromise the patrol,” an Army report said. They divvied up the items and settled in for the night, aware the enemy might have them marked. The men divided into two positions along the ridgeline, most of them in a line of trees and bushes at the northern end of the ridge, others, including Monti and SGT Cunningham, behind some large rocks and tree cover at the southern end. Suddenly, just before dusk, the place lit up with rocket-propelled grenades and gunfire from the trees just above the ridge to the north. Most of the guys made it back to the main position. But as SPC Bradbury, 22, of St. Joseph, Missouri, ran, an RPG exploded and he fell over the ridge from his colleagues. They called out to him and kept him talking, but separated from the group by what the troops call “the death zone,” they could not reach him.